Safety cover that prevents children under 5 from accessing the pool. Meets NFP 90-308 Standard. For underground pools of a maximum of 12 x 6 metres (+ stairs). 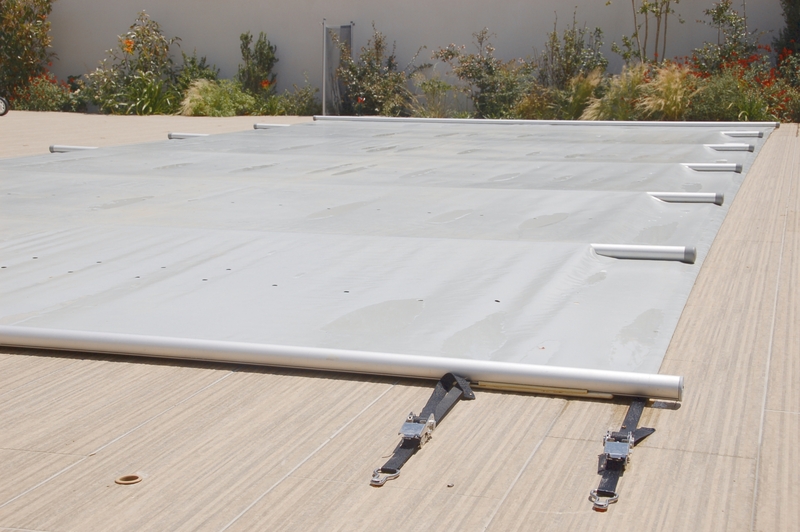 Add a minimum of 30 cm on each side to the pool measurements (Ex: 10 x 5 Pool, 10.60 x 5.60 m cover). It can be used all year long as it protects it from dirt in summer as well as in winter and reduces the proliferation of bacteria and algae. ROLLING SYSTEM: It is done only with the help of 1 or 2 geared down cranks (more than 9 x 4). The cover is rolled around the bars, supporting itself on the cope. For a pool that is smaller than 9 x 4 m, only useone 1/3 crank.